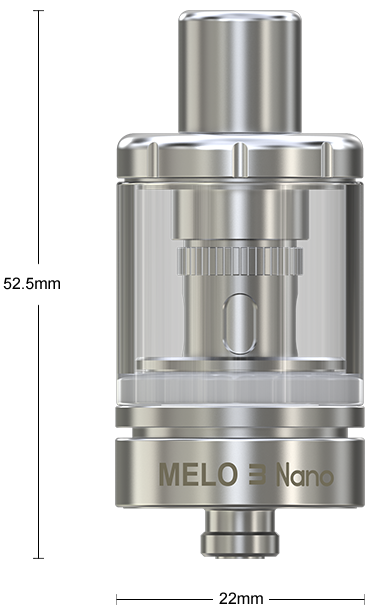 MELO 3 Nano comes with an e-liquid capacity of 2ml while still retaining the top filling solution for easy use. 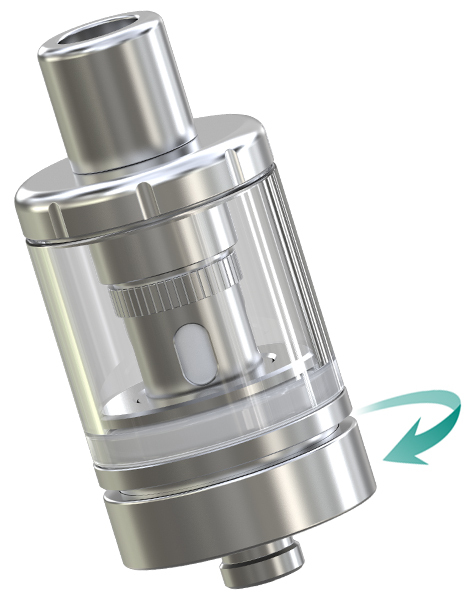 All parts of the atomizer can be detached and reassembled, bringing much more convenience in cleaning and maintenance. 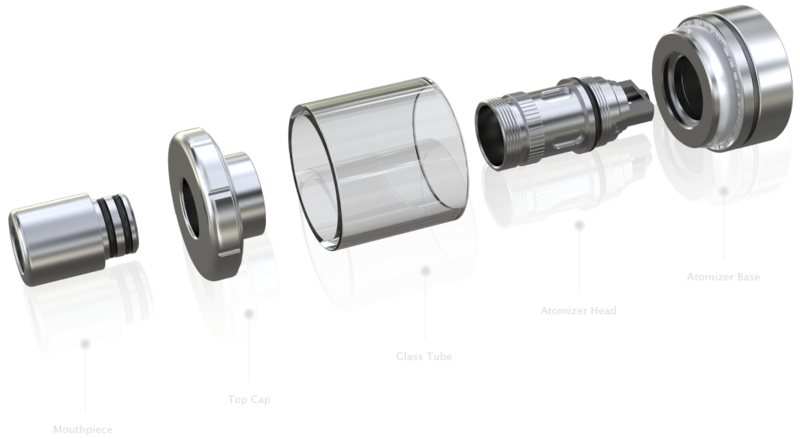 With the new ECML 0.75ohm Head, the MELO 3 Nano will give you a great joy in vaping with nice flavor especially for mouth to lung inhaling. 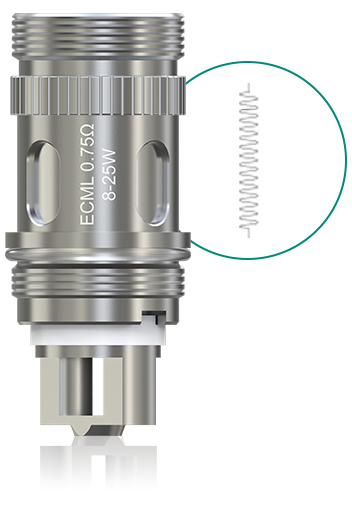 The new ECML 0.75ohm Head will give you a great vaping experience with nice flavor especially for mouth to lung inhaling. 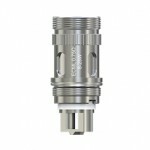 1.Please make sure the atomizer head is screwed tightly onto the atomizer base when assembling. 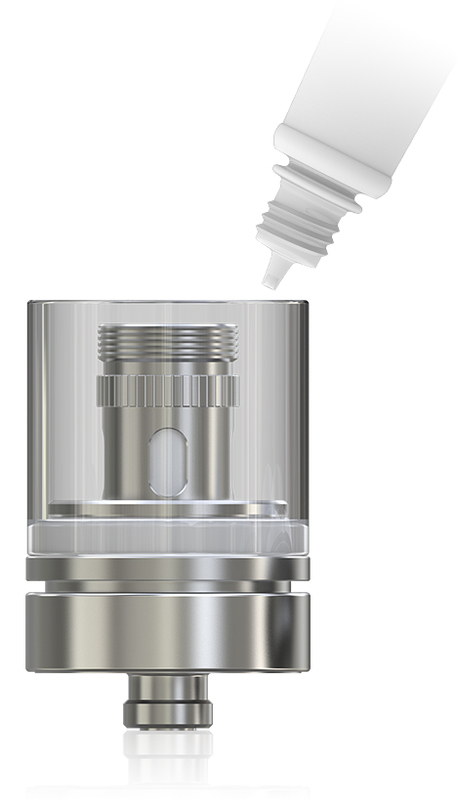 2.Before replacing atomizer head, please be sure that there is no e-liquid left in the atomizer. 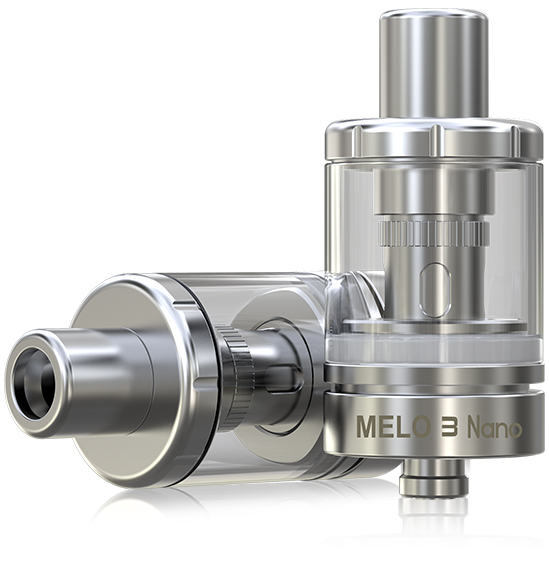 The MELO III Nano can easily be refilled with e-liquid by removing the top cap only. bringing more convenience in cleaning and maintenance. 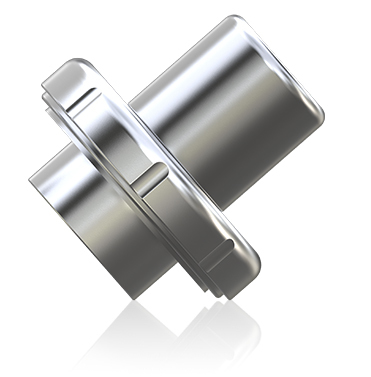 This design of the invisible airflow control is also a plus to the simple and fashionable appearance of MELO 3 Nano. 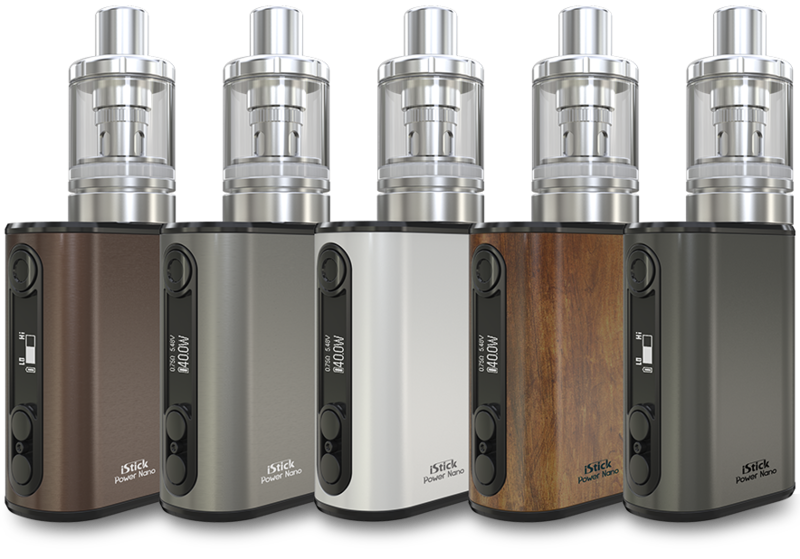 The iStick Power Nano fits the MELO 3 Nano perfectly both in appearance and performance.